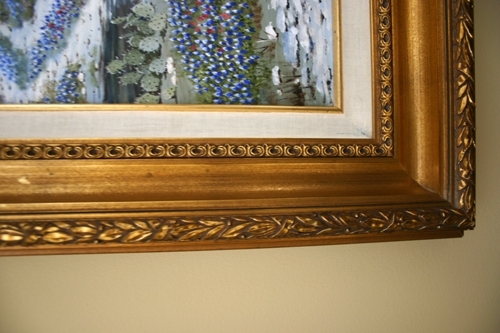 This is a large, impressive painting. 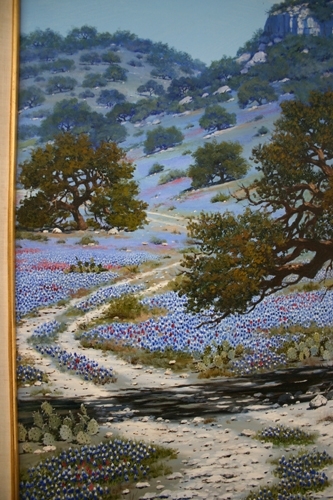 If you like the work of Porfirio Salinas, but don't want to pay the high price, this is definitely the artist. William A. Slaughter (1923-2003) was born in San Antonio, Texas and died in Dallas. His first call was to the ministry and after serving in the Air Force during WWII, he was ordained as a Lutheran pastor. This calling took him first to Lubbock, Texas, Mexico, and finally Dallas. It was during this ministry in Mexico that Mr. Slaughter began seriously to hear another call. 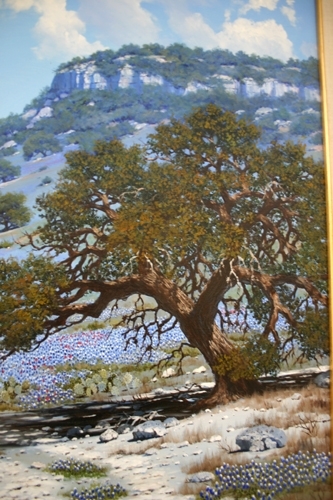 Slaughter began painting and exhibiting at local art and craft shows after moving to Dallas. His church members began buying his paintings and before long he knew that he was going to have to make a life changing decision between the Ministry and art. 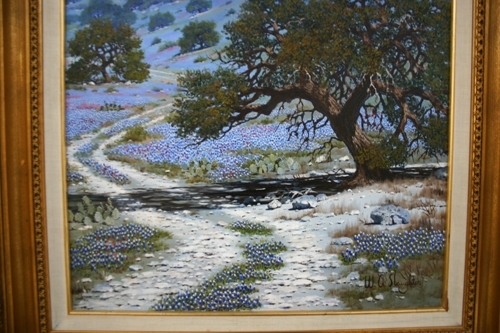 Slaughter first belonged to and exhibited with the Artists and Craftsmen's Association of Dallas. 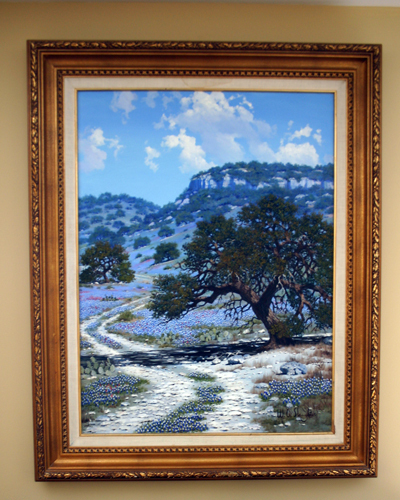 In 1968, he was awarded first in landscape painting. 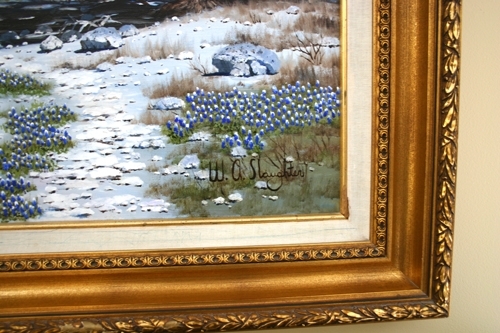 In 1973, he was awarded first in still life painting.